A new era of apps catering to help people with their mental health is here. And boy, do we need it. Social media apps have gotten a bad reputation; even Facebookrecently admitted it might be bad for you. But with the continued expansion of our reliance on technology, perhaps then it’s not entirely surprising that there’s been a mini-boom in the self-care app ecosystem over the last couple of years. These self-care apps want to turn your phone into a force of good that’s less about likes and filters, and more about you and your actual happiness. Such apps cater to a variety of issues and ailments, including Mend, that helps you get over a breakup; Moodnotes, a mood tracker rooted in clinical psychology; and Shine, a daily motivational text service. While most of these apps don’t currently offer ad opportunities, nonetheless, marketers have begun to take notice. 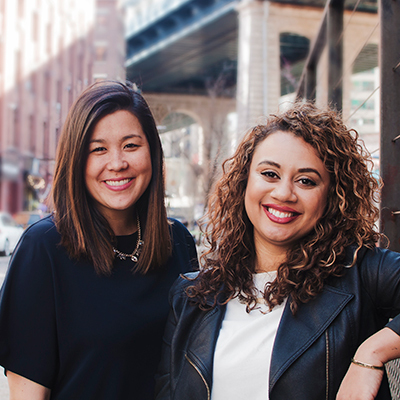 Shine's co-founders Naomi Hirabayashi and Marah Lidey. “By tapping into this uncrowded, but highly scalable space, marketers and advertisers can identify and better understand these unique consumers and find specific ways to distribute a brand’s message when they appear most receptive to hearing it,” said Lauren McAndrews, director, mobile marketing at Havas Media’s Mobext. That’s already begun, with some brands creating effective, brand awareness partnerships in what most would consider an ad-free space. 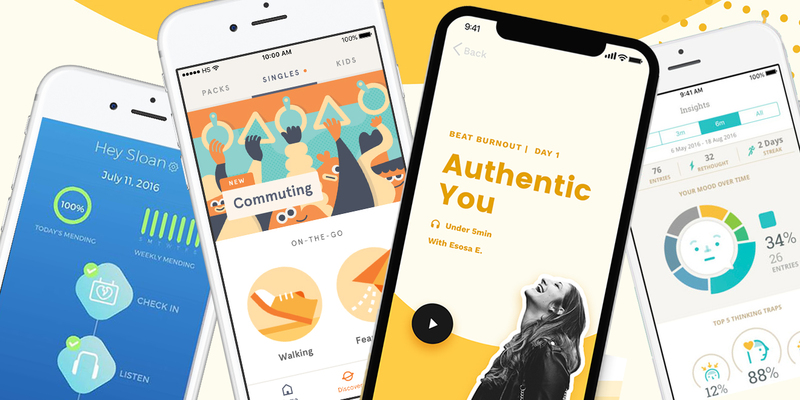 Take Headspace, a popular meditation app, collaborating with JetBlue; the airline includes more than a dozen of the app’s guided meditation sessions as part of the inflight entertainment (IFE). “We decided to partner with Headspace as we saw a unique opportunity to provide JetBlue customers with fun and entertaining guided meditation sessions to elevate their well-being on board,” said Caroline Kelly, head of content and partnerships, IFE, JetBlue. While the self-care app category is relatively small, a number of marketers and agencies see its growth potential and are jumping on board now—especially since the apps zone in on the individual. “I expect more [self-care apps] and it will be a continuing trend on focusing on the individual and one’s mindfulness and one’s individuality,” said Pehr Luedtke, svp of Valassis Digital, a marketing and advertising company. That said, the nature of this particular space means that marketers need to exercise caution and proceed with sensitivity around the topic (without over-commercializing it). It’s such a personal experience, said Luedtke, that the advertising needs to be just as personal—and relevant. “The bar for quality is ever increasing,” he added, noting that marketers need to focus on the quality and relevance of any message that’s shared, as well as figure out how to reach consumers in both a physical and behavioral environment. He may be onto something. After all, as Edrick Dorian, co-founder of Thriveport, the parent company of Moodnotes, explained that before apps, there were CDs, books and videos proffering self-help—with the category generating an estimated $9.9 billion. The new technology just offers consumers a new delivery system. “These kind of apps allow people to have ready access to the tools and knowledge to help them achieve their well-being goals and do so in a way that’s discreet,” said Dorian. The app helps instill positive habits through a daily text with inspirational content and tips to handle anxiety or boost self-confidence. The mood-tracking and journaling mental health app uses cognitive behavioral therapy to help users cope with upsetting situations. This app offers ways to help you get over your breakup. Users go through an average of about six sessions a day. LeBron James and Gwyneth Paltrow praise this meditation app that’s designed to bring a sense of calmness to your life.